Researchers belonging to the Concrete Structure Technology research group of the Universitat Politècnica de Catalunya (UPC), along with the companies GIVASA, SERVIÀ CANTÓ, EIFFAGE INFRAESTRUCTURAS and Applus+ IDIADA, have designed and built a prototype of a concrete crash barrier for interurban roads that, in comparison with the concrete barriers already in place, reduces the degree of severity of vehicle impact in accidents and therefore of injury to vehicle occupants. In addition to improving safety for vehicle occupants, the new crash barrier design, the first of its kind in Europe, is cheaper and more environmentally friendly than existing solutions because it reduces the amount of concrete needed by up to 10% and prevents up to 6.6 tonnes of CO2 emissions for every kilometre of barrier. 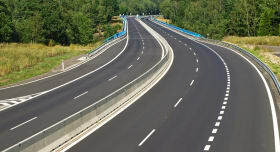 In addition to improving safety for vehicle occupants, the new crash barrier design, the first of its kind in Europe, is cheaper and more environmentally friendly than existing solutions because it reduces the amount of concrete needed by up to 10% and prevents up to 6.6 tonnes of CO2 emissions for every kilometre of barrier. Another advantage of the new in situ concrete crash barrier is that, compared with other vehicle restraint systems, and thanks to its high resistance to impact, it reduces maintenance costs during its useful life, estimated to be one hundred years. The barrier prototype has been installed on the C-33 (in Mollet del Vallès) and AP-7 (at the Nus del Papiol) motorways, the A-14 dual carriageway (in Lleida), the C-58 road (in Vacarisses and Castellbell i el Vilar), the Fernando Reig bridge on the N-340 (in Alcoy, Alicante) and the M-506 (in Chapinería, Madrid). It is expected to be built in 2017 on the C-55 (in Collbató), the N-IIz (in Castellolí), the B-112 (also in Collbató) and the BV-4025 (in Cercs). Roadway departure crashes are the most common road accident and their consequences are the most severe. In 2015, there were 1,126 fatalities and 4,843 people were injured on interurban roads in Spain. On this type of road, the highest percentage of fatalities, 40%, occurred in accidents in which the vehicle left the road, according to the Directorate General of Traffic (DGT). In the case of Catalonia, in the same year there were 176 fatalities and 891 people were seriously injured on interurban roads; 36% of these fatalities were due to roadway departures, according to the Catalan Traffic Service (SCT). Crash barriers or restraint systems designed to reduce this kind of accident can be made of metal, precast or in situ concrete, masonry and even wood. These systems serve to “restrain” vehicles (keep them from crossing over into the opposite lane), to redirect them and as shock absorbers in the case of impact. 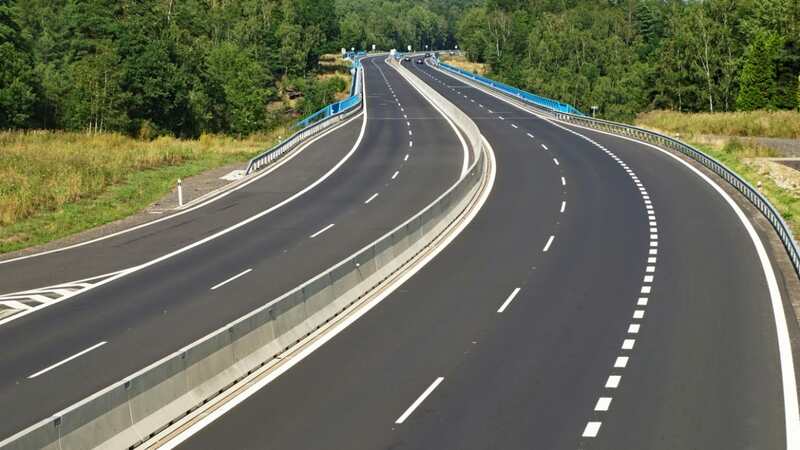 At present, only metal and precast concrete crash barriers meet impact severity index criteria in European standard EN 1317, which distinguishes three types of crash barrier (A, B and C), as only types A and B are allowed in Spain. However, metal crash barriers have several drawbacks, such as the fact that they have to be repaired after an accident, which has an effect on traffic, and their high maintenance costs. In the framework of the BAHORIS project, funded by the Centre for the Development of Industrial Technology (CDTI), the UPC’s Concrete Structure Technology research group and the companies GIVASA, SERVIÀ CANTÓ, EIFFAGE INFRAESTRUCTURAS and Applus+ IDIADA designed a new, continuous in situ concrete crash barrier, for two reasons: to ensure the type B severity index criteria are met and thus limit the consequences of an impact on the driver of a vehicle, and to build it more sustainably by reducing material consumption, improving its structural response and making maintenance, or replacement in the case of accidents, easier. The solution developed, which has been certified as meeting conditions for type B impact severity, achieves these initial aims, according to researchers at the Barcelona School of Civil Engineering. Specifically, the barrier reduces the severity of injuries in accident victims after they crash into the barrier in comparison with existing concrete barriers. This improvement has been achieved in the following ways: first, by optimising the length of transitions (i.e. the spaces between one barrier and the next), and second, by adjusting the material (reinforced concrete) and adapting direct contact or friction with the ground. The shape of the barrier has also been improved to ensure that vehicles can be redirected gradually and smoothly so that drivers do not lose control of the vehicle or swerve into opposite or adjacent lanes. As for the material it is made of, the new barrier needs between 3% and 10% less concrete than other, similar materials. This leads to a decrease of between 13 and 55 tonnes of concrete and between 1.60 and 6.6 tonnes of CO2 emissions for every kilometre of the barrier that is built. The new barriers are more competitively priced than precast concrete ones. They also require virtually no maintenance, because they do not need to be removed after a car accident, which means there are no disruptions to traffic when they need to be repaired, unlike metal barriers. Indeed, 10% of road congestion problems are directly related to the maintenance and replacement of barriers, according to estimates by the Federal Highway Agency (FHWA) in the United States. Work on the new barrier is the subject of Dr Jordi Cañas’s PhD thesis, which was supervised by the professors Antonio Aguado and Albert de la Fuente at the UPC’s Department of Civil and Environmental Engineering. Standardised impact tests were performed on various barrier configurations that had previously been simulated using advanced numerical models at the facilities of Applus+ IDIADA. This reduced the number of full-scale tests, because the simulation results enabled geometric and mechanical variables to be analysed beforehand. The impact of buses and heavy goods vehicles was also tested to check the barrier’s containment capacity, and initial results were excellent. The project has the support of the RACC.